The UCLA Herb Alpert School of Music will begin the process of establishing an academic minor in Iranian music with a generous $1 million gift from Farhang Foundation. A signing ceremony on April 27 at UCLA commemorated the gift. Farhang Foundation's gift will enable the school of music's academic leadership to start the proposal process for the new minor degree program, which ultimately requires approval by the campus' Academic Senate. The minor would build on the department of ethnomusicology's revitalized Iranian music program, which was revived in 2016 after a 20-year hiatus with departmental and donor support. The program is led by Amir Hosein Pourjavady, who directs the Persian music ensemble and teaches seminars on the music of Iran. "We are inspired by this visionary gift from Farhang Foundation, which will help to create what we believe to be the only minor degree program dedicated to Iranian music in the United States," said Judith Smith, dean of the school of music. The proposed minor would advance the study and performance of Iranian music at UCLA and create new opportunities to engage students across all majors on campus. It also would extend the campus' existing strength in Iranian studies - UCLA offers the nation's largest and most comprehensive doctoral program of its kind. The minor would have a fitting home within the school of music's renowned department of ethnomusicology, which is dedicated to the study of world music from all parts of the globe. 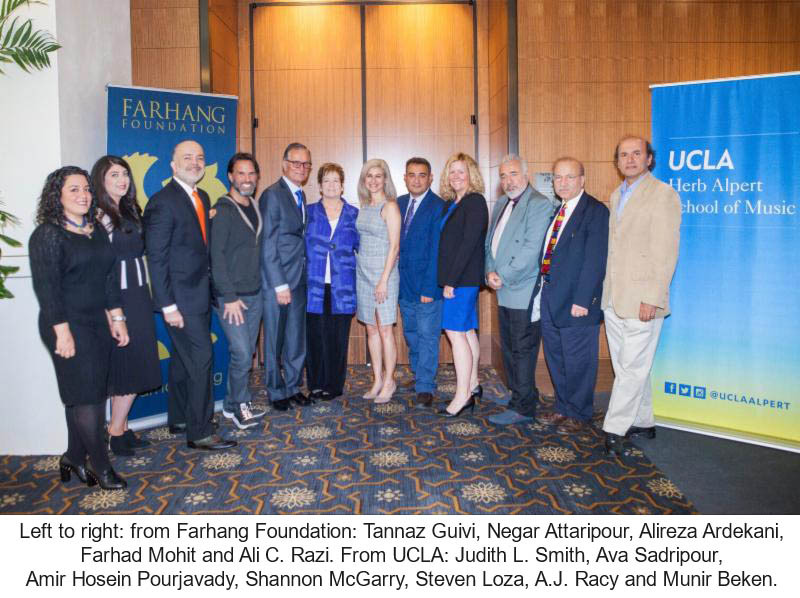 UCLA has enjoyed a long relationship with Farhang Foundation, a Los Angeles-based nonprofit whose mission is to celebrate and promote Iranian art and culture for the benefit of the community at large. Among other activities, the foundation is the sole sponsor of the UCLA Film & Television Archive's annual UCLA Celebration of Iranian Cinema, which this year runs through May 19. 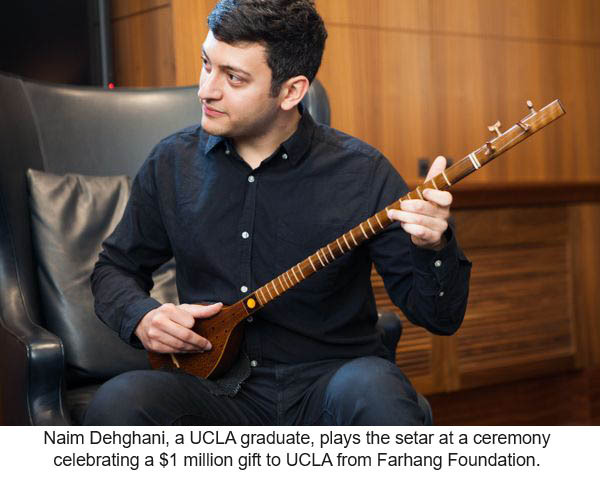 "UCLA is uniquely positioned to advance Iranian music in Los Angeles, which is the home of the largest community of Iranians outside of Iran," said Ahmad Gramian, chairman of Farhang Foundation. "Westwood, where UCLA is located, is known as 'Tehrangeles,' and we are thrilled to also help strengthen the link between the campus and the greater community through our gift." Farhang Foundation's latest contribution is part of the $4.2 billion UCLA Centennial Campaign, which is scheduled to conclude in December 2019 during UCLA's 100th anniversary year.